India is vast country with a lot of diversity in caste and religions. This religiously plural country is known for a plethora of different religious practices. There are different rules for marriages in different religions and every religion has its distinct rituals and traditions for marriages. The country with a multitude of religions like Hinduism, Islam, Sikhism, Zoroastrianism, Jewish, Buddhism, Jain and Christianity offers some interesting sort of rituals. The cultural heritage in India is quite rich and diverse with a huge variety of marriages in different religions. All the different religions in India be it Hindu, Muslim, Christians or Sikhs have a different set of wedding customs. When one says Indian wedding the mind goes to the traditional Indian wedding. However, every religion has its unique way of celebration. The tradition and customs of marriages in different religions is different. 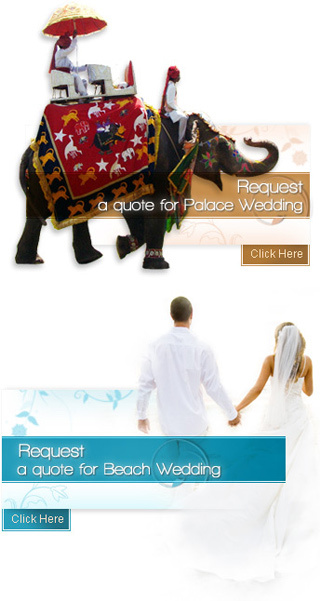 The one common feature of weddings in India is the excitement and fun with a huge gathering of relatives and friends. A Hindu marriage is different from marriages in other religions in the sense that the marriage ceremony goes on for several days. There are different rituals that are held in before, on and after the marriage days. Several customs like prayer to Lord Ganesha is held in the pre wedding day so that He can bless the would be couple. Other rituals like Mehendi, Barat, Sangeet, Tilak, Jai Mala, Vivah and Viladi. The ceremony is held in a big hall either in a rented marriage hall or in the lawn in the grooms house. The Muslim marriage is different from marriages of other religions and is also celebrated with pomp and show. There are various rituals before, during and after the wedding. In the pre wedding ceremony Mehendi is an important function. On the wedding day the rituals like welcoming the groom takes place. It is in the main wedding day that the main ceremony Nikah takes place in the home of the bride or in a commonly decided venue. The ceremony is performed in the presence of close relatives and friends. An elaborate dinner is arranged to celebrate the occasion. The Christians too have their own tradition and celebrate their wedding with much pomp and show. The ceremonies are simple, charming and are conducted in the Church. On wedding day the best man greets the bride with a bouquet of flowers. In the presence of two witnesses from both sides the bride and groom declare themselves as husband and wife. There is an exchange of rings and blessing from the priest. Thus marriages in different religions have the same technical working despite diverse cultural background.